The interactive online version of our world-class Series 3 exam prep materials (which are now in their Twentieth Edition). Based on the most widely-used Series 3 preparatory course! 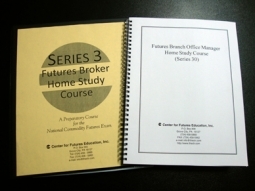 It is a stand-alone course, not designed to require CDs, extra books, or classroom instruction. 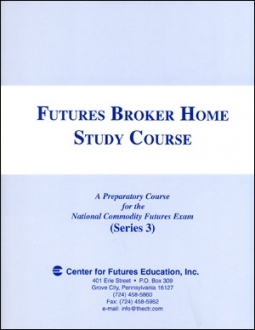 The Futures Broker Home Study Course has 8 sections, each covering one of the topics in the National Futures Association's study outline for the National Commodity Futures Exam (Series 3). It was written by a two-person team (from widely differing backgrounds) each of whom has taken the Series 3 exam, not by a panel of experts who have never taken the exam. Improved and updated as needed throughout 30 years of use. We've taken pointers from secretaries, students with English as a second language, and customers who called with questions. These avid students helped us know where our materials needed to be clarified. 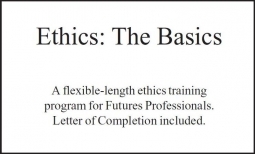 The bottom line is, the course is clearly written. The Quizzes are interactive, giving you immediate feedback with the correct answers and an explanation. 5 accesses per quiz. 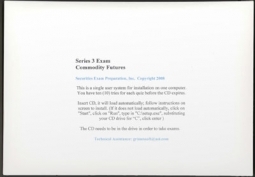 2 interactive Final Exams are patterned after the NCFE (National Commodity Futures Exam). After completing a final exam, a list of those questions you missed is presented with your final score. You may choose questions from this list to see the original question, the answer you supplied, the correct answer, and an explanation. 10 accesses combined for the 2 final exams. Convenient! Study wherever you have internet access. 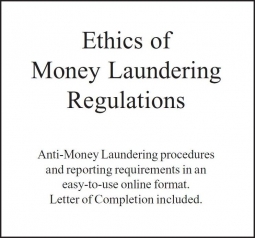 Contains handy links to glossary terms. No book to carry. No travel, missed work, or food and lodging expenses associated with seminars. Course access good for 90 days.